The French word "faïence" is derived from the place name Faenza, Italy, which became eponymous for tin-glazed earthenware manufactured throughout Europe from the 16th century onwards. The French iteration began in the second half of the century with the migration of Italian ceramicists to Lyons, whence the medium quickly spread to key urban manufactories. Over 50 years, Sidney Knafel, the 87-year-old founder of the telecommunications company, Insight Communications, amassed a highly focused collection of French faïence. 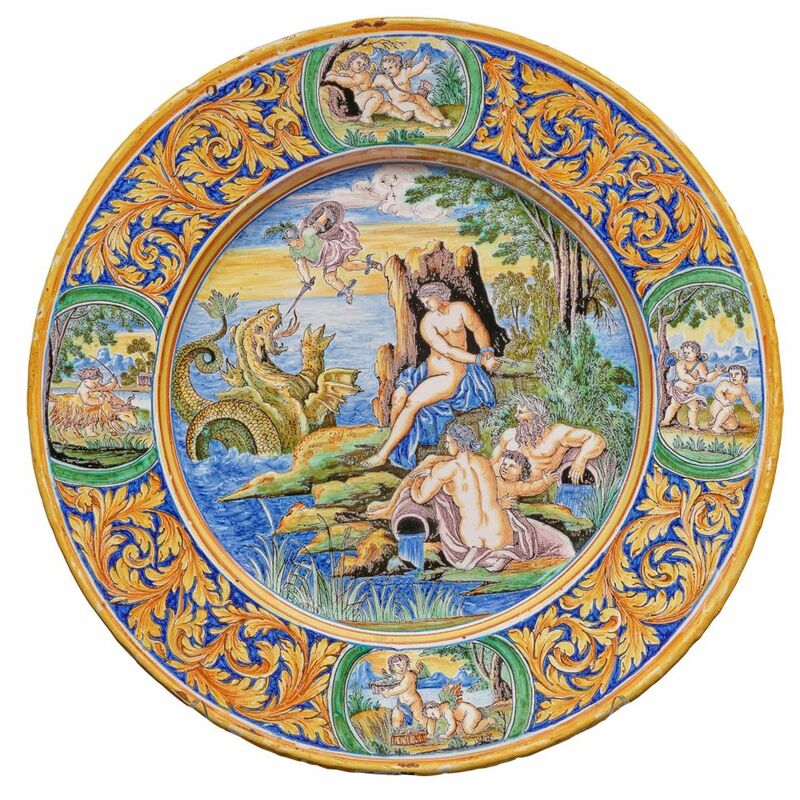 This catalogue accompanies the Frick Collection exhibition (10 October-22 September 2019) of 75 objects (including this plate depicting Perseus rescuing Andromeda, painted in Nevers around 1680-90) that Knafel and his wife, Londa, have promised as a gift to the Frick.